Drum roll… Ladies and Gentleman we proudly present to you the Kent Green Hop Beer Fortnight beers for 2013! We hope to have all (or nearly all) of these beers on our bar at Canterbury Food & Drink Festival from the 27 – 29th September and you will find them in pubs around the county throughout the Fortnight (a new Where to drink section is being updated right now and we hope to post it early next week). Early Bird Pale (3.6%) Pale ale hopped with *EKG. Entry level KGHB with soft, subtle hops. East Kent Golding (4.7%) Golden ale hopped with EKG. Hoppier beer for KGHB aficionados! East Kent Red (5.8%) Rye beer hopped with EKG. Caramel biscuit sweetness balanced perfectly with herbal and marmalade hop flavours. East Kent Belgian (4.2%) Belgian pale ale hopped with EKG. Light pale ale brewed with Belgian yeast to deliver a greater range of hop flavours. East Kent Pale (4.6%) Pale ale hopped with EKG. Simple, clean and crisp pale ale allowing our local hops to really shine. India Pale Ale (9.2%) Double IPA hopped with EKG. An American west coast inspired brew with strong grassy, herbal and citrus flavours. Hunter Gatherer (3.2%) Pale ale hopped with EKG. Light, easy drinking but beer with decent bitterness and spicy, herbal aroma. Gadds’ Green Hop Ale (4.8%) Pale ale hopped with EKG. Crisp resinous hop flavours make the malt take a back seat! Green Hop Silver Star (4.2%) Pale ale hopped with Fuggles/EKG. Crisp, clean tasting beer with a satisfying dry finish. Goodness Gracious Me! (4.8%) IPA hopped with Challenger. Robust, hoppy beer evocative of an Indian summer. Good Harvest (4.5%) Best bitter – details and tasting notes tbc. Garden of England (3.7%) English bitter hopped with WGV*. Fully green hopped, uses no dried hops at all, for a clean tasting, fresh and fruity flavour. Green Giant (6%) IPA hopped with EKG. 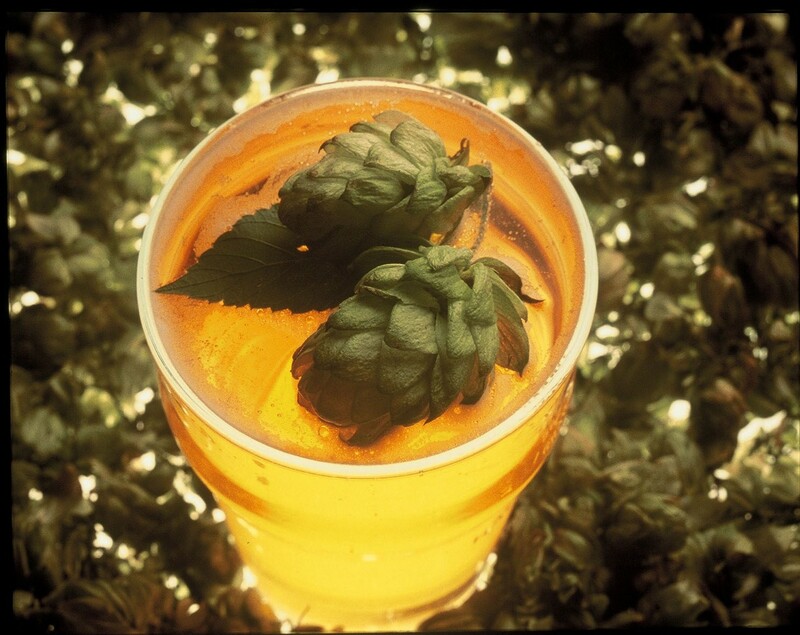 A colossal amount of freshly harvested hops create a complex Green Hopped IPA. Green Hop Best (4%) Best bitter hopped with Goldings/Bramling Cross. Made with hops grown on the brewery’s own farm. Autumn Sun (4.3%) Pale ale hopped with Fuggles. Autumnal colour with classic Fuggles flavours reminiscent of dry hay, mint, and hawthorn. Autumn Moon (4%) Amber ale hopped with EKG. Smooth caramel flavour balanced with EKG’s gentle orange and grapefruit notes. Copper Hopper (4.1%) Premium bitter hopped with Bramling Cross. Full bodied maltiness and fresh blackcurranty flavour from the hops. Green Hop 1 (4%) Pale ale hopped with Phoenix. Refreshing, light and well rounded. Green Hop 2 (4%) Pale ale hopped with Admiral. Munich and chocolate malts mix beautifully with orangey/citrus flavours from the hops. Green Hop 3 (4%) Pale ale hopped with Challenger. Light fruitiness and hints of spice with a pleasant lingering bitterness. Green Hop 4 (4%) Pale ale hopped with Target. Right on target for a cracking bitter and fruity beer! Green Hopped IPA (4.5%) IPA hopped with Admiral. Orange/citrus notes with a dry butter background. Tallyman’s Special (4.5%) Best bitter hopped with Challenger. Gentle bitterness, light malty flavours and a dry finish. Green Hop Gold (3.9%) Golden ale hopped with EKG. Light and smooth green hop golden ale. First Gold Bitter (3.6%) Bitter hopped with First Gold. Light coloured session beer based on their most popular Fuggles style. First Gold Best Bitter (4%) Best bitter hopped with First Gold. Traditional dark best bitter based on their Trumpeter beer. First Gold Premium Bitter (5%) Premium bitter hopped with First Gold. Dark premium bitter with flaked barley to give body and head. Based on their Bewick beer. Goldings Mild (4%) Mild hopped with Goldings. Strong dark mild with chocolate/coffee notes. Capel Pale (4.5%) Pale ale hopped with Pilgrim. Zesty pale ale with obvious grapefruit notes and light honey background. Green Hop Bramling Cross (4.5%) Best bitter hopped with Bramling Cross. Fruity blackcurrant overtone with a spicy yet floral background. Green Hop Challenger (4.5%) Best bitter hopped with Challenger. Malt and biscuit notes support resiny flavours with fruit and spice. Green Hop Fuggles (4.5%) Best bitter hopped with Fuggles. Tasting notes tbc. Scotney (4%) Best bitter hops tbc. Mild tasting, mid gold best bitter with wonderful sappy fresh hop flavour. Grafty Green Hop (4.8%) Pale ale hopped with Challenger. Bitter, refreshing golden-hued beer. Please note – this list is provisional and subject to change/availability – but we will try our best not to disappoint. Cheers! Pic courtesy of Beer Genie. ← New breweries join KGHB Fortnight.